Opponents of Indiana's Religious Freedom bill, which Indiana's Republican Gov. Mike Pence signed into law Thursday, fear that it could make it legal for businesses in that state to deny service to LGBT people for religious reasons. The law, which goes into effect July 1, doesn't mention sexual orientation, but rather specifies that the state or local governments are prohibited from burdening a person's ability to exercise their religion. Some of the bill's opponents have taken to Twitter under the trending hashtag, #BoycottIndiana. "This bill is not about discrimination," Pence said, according to an Indianapolis Star report, "and if I thought it legalized discrimination I would have vetoed it." Not all progressives agree that boycotting Indiana is the best way to handle what they view as legislation that is potentially discriminatory against lesbian, gay, bisexual or transgender people, but economic protests often send a powerful message. Salesforce.com founder and CEO Marc Benioff is among the business leaders protesting Indiana by hitting the state where it hurts. 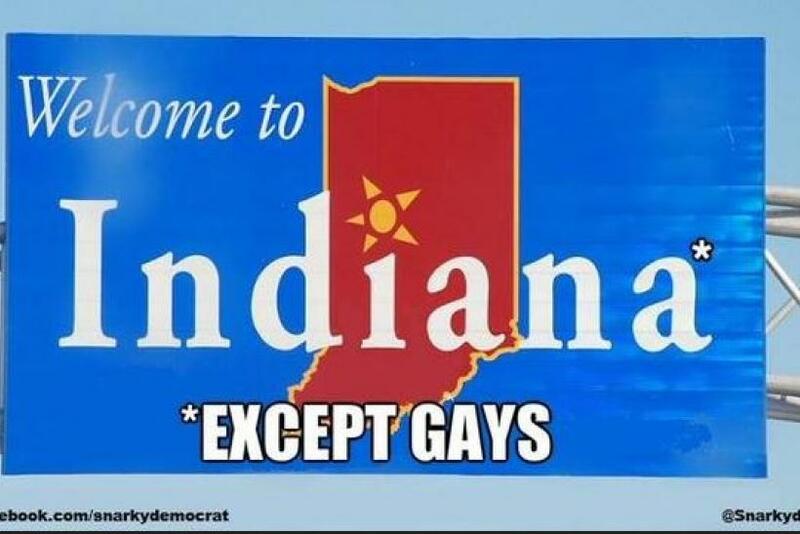 Is #boycottIndiana really a good idea? Let's support good causes and people there: LGBT, secular, progressive groups & businesses.